Vice-President Saulos Klaus Chilima , who is leading United Transformation Movement (UTM) a breakaway from ruling Democratic Progressive Party (DPP), has said he will introduce “lifestyle audit “— an anti-graft initiative that, if implemented, would require all public servants including businesspersons to show how they earned enough to afford the mansions, ranches and luxury cars so many of them own. “People should be able to explain how they acquired a house or property in comparison to what they earn,” he said. 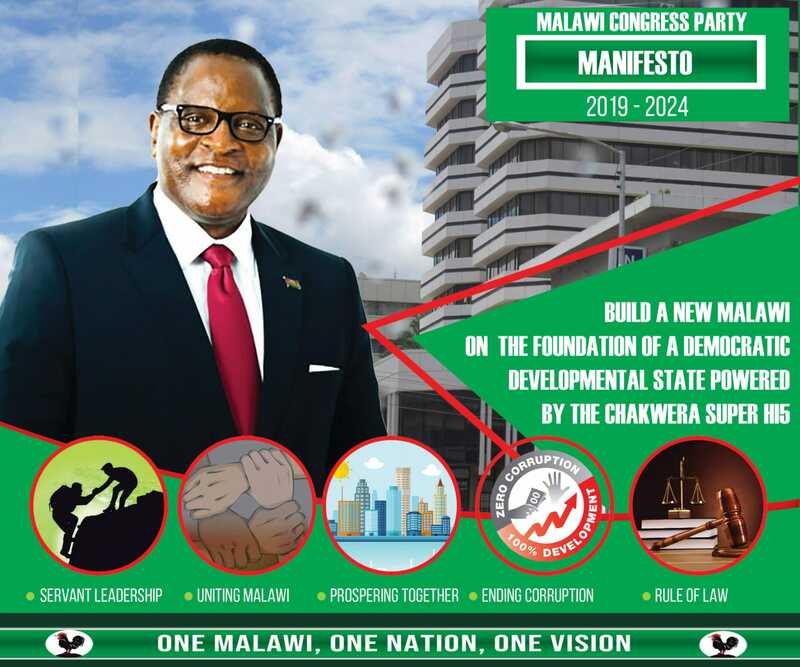 The UTM leader said his movement is ready to usher in the change Malawi needs among others to genuinely fight corruption, end nepotism and impunity – which he accused the Democratic Progressive Party (DPP) led government of perpetuating the vices. SKC – as Chilima is fondly called by his supporters – said corruption has destroyed Malawi, costing the public good service delivery in health, education, agriculture and infrastructure development sectors. The UTM leader also said he will introduce pension scheme for all Malawians aged 65 years and above once he becomes the country’s president. Chilima maintained his pledge to create one million jobs, abolish the quota system of selecting students into public universities, end presidential immunity from prosecution while in office, increase teachers’ salaries and make Parliament the appointing authority of the Anti-Corruption Bureau (ACB) director general and other important positions, in the first year if elected president in the 2019 Tripartite Elections. Stop wasting time with that line friend. EVERYONE knows Chilima was stripped of all power and influence in DPP, and secondly we ALL know that he is the current VP of Malawi, it doesnt matter a drop! Eetu, ngati mumaba mwayeneradi kuyamba kunjenjemera omwe mukulemba macoment osanveka bwino. Malawi needs some one like Chilima to clean up the mess that is taking place and has been taking place for along time in our country. I hear you are spending 6 million per Rally .Where are you getting the Money.You are surrounded by Pipo omwe mbiri zao Nkhani ya Ndalama – Corruption, Kuzemba misonkho yet they are Funding your Movement. Khaya. Uyanbira anzako you are with in utm like Masangwi and Kaliati. You are surrounded by thieves. Some of us have been talking about the cars and mansions civil servants have. A PS gets K1.0 million before taxes but lives in a house worth K100 million built in less than a year. There are mansions in area 43, area 49 and one PS built an upstairs house in area 11. Mwatibera kwambiri tiwone zina osati zathawa ku dpp. Mudzatipanga audit ndiife tomwe amene tilemele ndi miracle money ya bushiri? Mr. Chilima now we know u are not the kind of person we want to rule Malawi….otherwise anthu muzawapweteka osalakwa. Munthu alephere kugula mini bus coz akuopa to be audited? Civil servant makamaka mphunzitsi ngati ine asamange nyumba coz of fear of putting his job at risk? MCP is our only hope. Ndakwela chilungamo, ……………. Moto kuti buuuuuuuu!!!! Absalomu iwe!!!!!!!!!!! watikwana wamva tanena zomveka bwino look here everyone now knows that you are just building castles in the air. I do not think you can do even half of what APM is doing in terms of development ,,,,, your movement is like DEW it is there in morning but it will vanishes as soon as the sun arises. Stop lying to the people otherwise you shall live to regret the lest of your entire life.